There is no safe corner of the globe; evil is upon the land in every quarter. 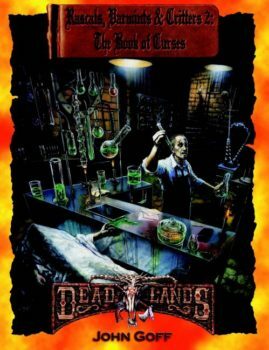 Cults and creatures, man and monster, even simple-seeming tomes so terrible that the readers' souls are lost. From beneath the sea, within the earth, and under the cities, the siege of humanity wears on. 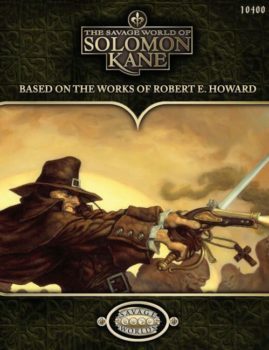 Can you face The Savage Foes of Solomon Kane? 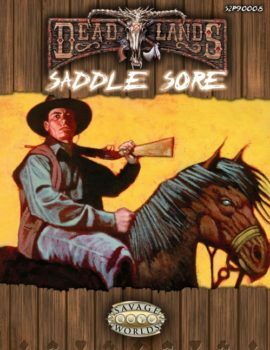 The Savage Foes of Solomon Kane is not a complete game. 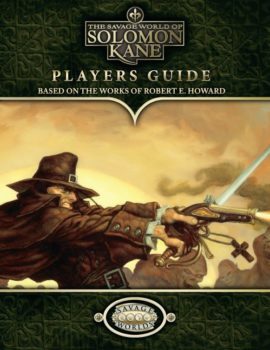 You also need The Savage World of Solomon Kane, the roleplaying game based upon the incredible works of Robert E. Howard, author of Conan the Barbarian ®, Kull the Conqueror ®, and countless other great heroes and heroines. 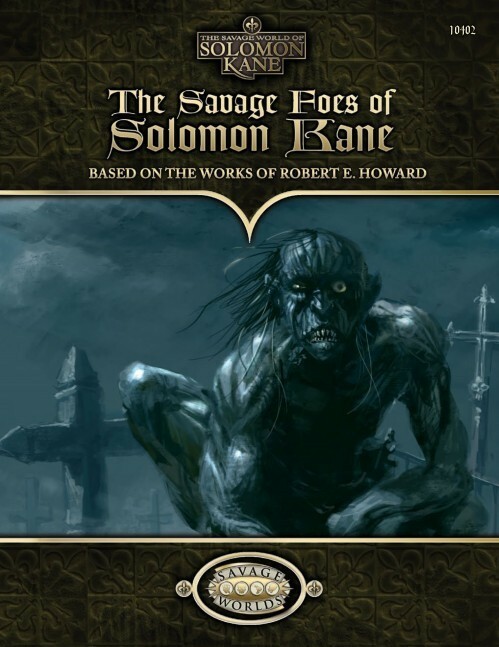 The Savage World of Solomon Kane is based on the award-winning Savage Worlds TM rules and is customized to capture the spirit of Robert E. Howard's dark tales. The PDF format includes a hyperlinked table of contents and index, bookmarks, and layer controls so you only print what you need.